Living Sq. Ft. : 1817 s.f. Total Sq. Ft. : 2603 s.f. 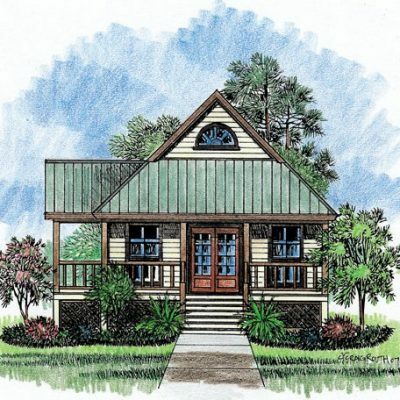 Another single column Louisiana Style home plan from our large collection of house plans. The Bently’s charm starts in the two garage, where there is room for a work bench and a door accessed storage area. Upon entering through the garage, you will find the Computer room with a custom desk: an essential in this day and age. 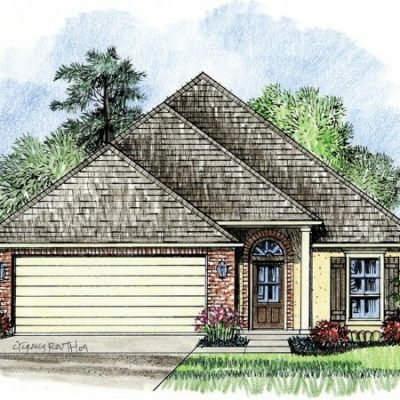 Entering the main living area of the house, you will find that the floor plan is open, giving you a large, spacious feel. The kitchen has a large island with a bar that overlooks the family room. 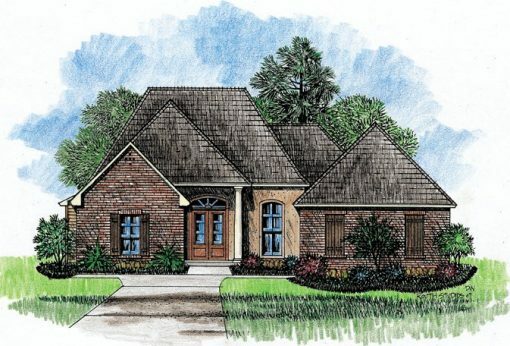 In the family room, you find 18 × 22’ of elbow room to work with and three large windows looking out the back of your property. 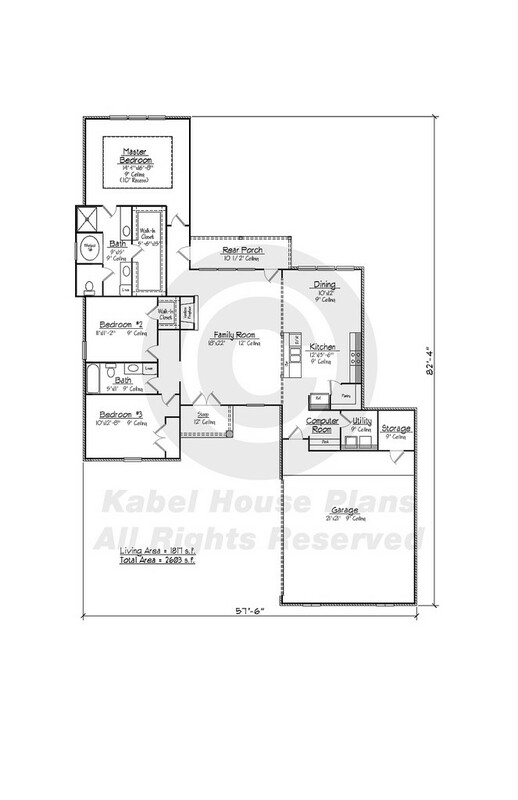 The house plan has three bedrooms, with the two smaller bedrooms toward the front of the home and the master at the back. 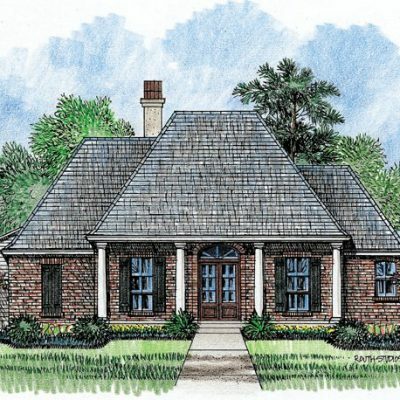 In the master bath, there is a whirlpool tub, separate shower, commode room, two vanities, and access to the large walk in closet. The master bedroom has a tall 10’ recessed ceiling with three large windows looking into the back of your lot. 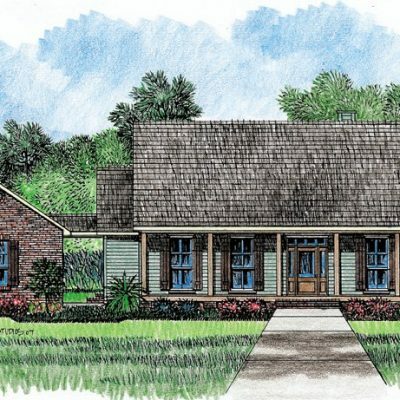 You will find that this Southern Louisiana house plan is a place you will be proud to call your own.